How awesome is this Handsome Alice necklace? Well, now you can get 10% off your purchase with coupon code Khatu10. Hurry, before offer expires! The bright hues for spring as so fun. I can't seem to keep myself from the neon this spring. I adore all of these bright colors! So pretty. A colorful outfit! I love all the brights this season. 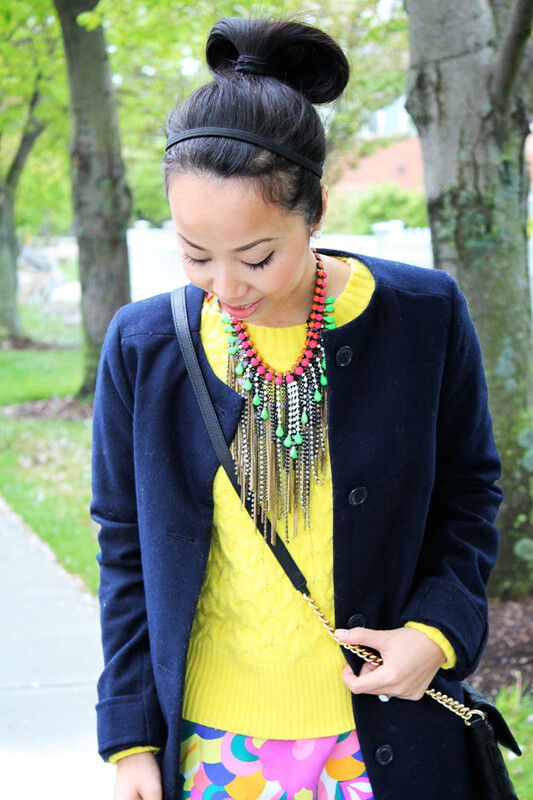 You look so good in bright colors, and that necklace is absolutely awesome!